Former Dallas Cowboys running back, Tony Dorsett, spoke to reporters in a telephone conversation after news came on last Thursday, August 30, that a $765 million dollar settlement amount had been reached between the National Football League and former players in the concussion-effects lawsuit. Dorsett 59, is one of at least 300 former football players who sued the league, claiming the NFL pressured them to play with concussions and other injuries and then failed to help them pay for health care in retirement to deal with those injuries. Photo shows Tony Dorsett at the AMI Kids Golf Tournament in Pawleys Island in 2012 speaking to the media about concussions and his quest to get all NFL players lifetime health insurance. “I’m just like, ‘Man, it is not enough. I just feel that, because of the quality of life that I’m starting to miss, they owe me more. Meaning the game owes me more for putting me in the condition I’m in. I’ve got medical bills to pay, and they’re going to get worse as time passes on. “If they got that (health insurance) for the guys, that’s fantastic, because that is greatly needed,” Dorsett said. “All I know is that as the days and years go by, it gets worse. “There’s some medical issues that guys are going to have for the rest of their lives. I just want to know if the owners are going to put something in the fund that’s going to fund that. That’s the most important thing. 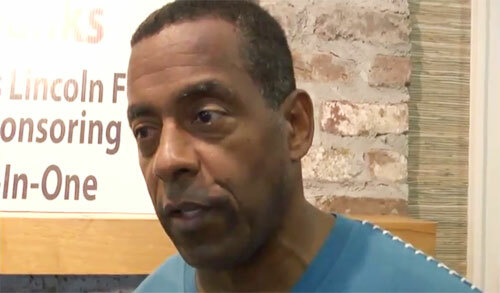 The following video shows Tony Dorsett at the AMI Kids Golf Tournament in Pawleys Island in 2012 speaking to the media about concussions and his quest to get all NFL players lifetime health insurance. Dorsett played for the Dallas Cowboys from 1977 to 1987 and the Denver Broncos in 1988. In Dorsett’s rookie year with the Cowboys, he rushed for 1,007 yards and 12 touchdowns and won the Rookie of the Year honors. Dorsett was announced the starter in the tenth game of the Cowboys’ season, and he would stay the starter for many years. Dorsett was the first player to win the college football championship one year, then win the Super Bowl the next, when the Cowboys beat the Denver Broncos 27-10 to win Super Bowl XII. If you would like to book football speakers or athletes like Tony Dorsett for a speaking engagement, autograph signing, product endorsement, Super Bowl party, golf tournament, charity fundraiser or special event, you can request Tony Dorsett agent and speaker fees at Sports Speakers 360. For booking agent and appearance fee information on how to hire Dallas Cowboys players for appearances, call 1.855.303.5450.